The onion is more than a kitchen staple. Onions contain extraordinarily powerful compounds that possess many health benefits. Hundreds of scientific studies published on these naturally-occurring compounds show that they are highly protective to nerves and the cardiovascular system and that they enhance immune function, fight the growth of many types of tumors, help to promote healthy hormone function, and much more. Eat them raw or cooked, they will definitely benefit you. Onions are rich in Vitamin C. Onions have powerful anti-inflammatory properties that help in boosting immunity. 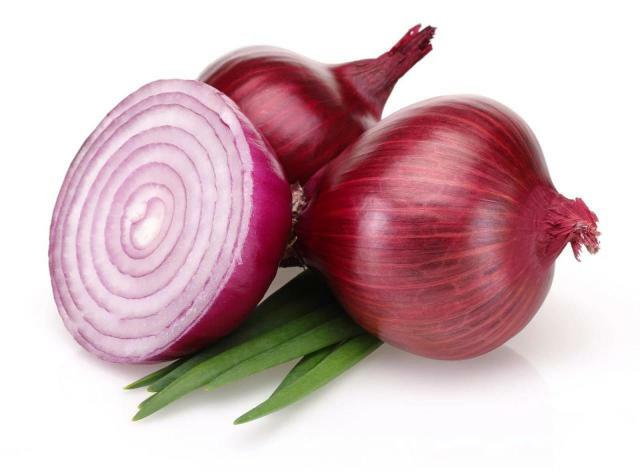 Onions also have anti-inflammatory properties, which help to fight acne. Research has shown that if you consume onions on a daily basis, it will help you to maintain proper blood glucose levels. Onions have flavonoids like quercetin that have hypoglycemic effects. If you include onions in your daily diet, it can help protect you from a number of cancers: oral cancer, colorectal cancer, kidney cancer, prostate cancer and breast cancer. The antioxidants and sulphur present in onions help in doing so.